Charades in a brand new suit! Oh, and it’s totally, completely free, BTW. 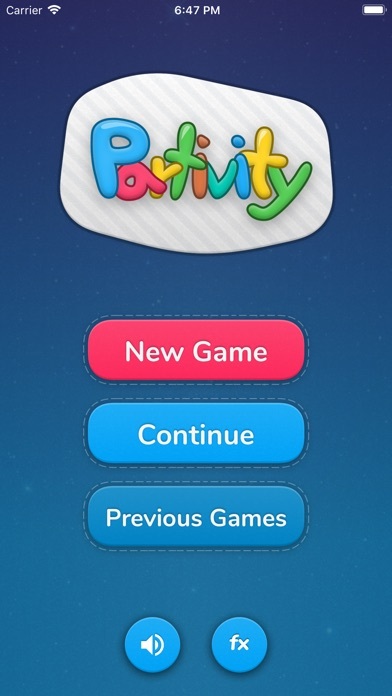 Partivity lets you play this old-time classic whenever you want, wherever you want, with whoever you want! Group your friends into up to 6 teams to compete with each other and fight for the title of the best guesser… and your dignity. Each round, choose from 3 activities: drawing, describing or acting. 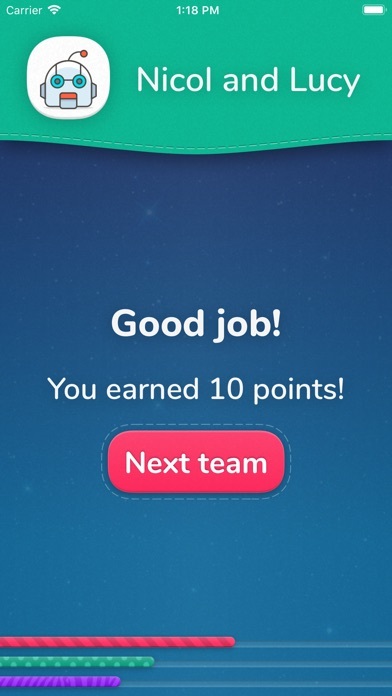 Each activity lands your team different amount of points. Then it’s up to your teammates to guess as many words as possible in 60 seconds. But beware! Difficulty increases with each successful guess. And don’t forget to check your team score from time to time to see who is closer to the sweet, sweet victory. 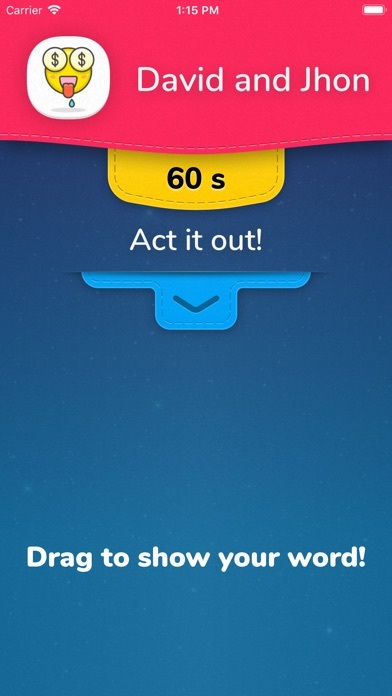 Features: - Play in two to six teams with as many people as you like. 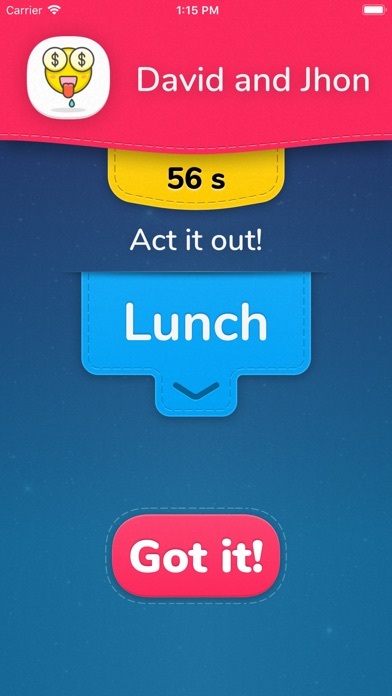 - Pause the game just by closing the app and continue whenever you feel like it. 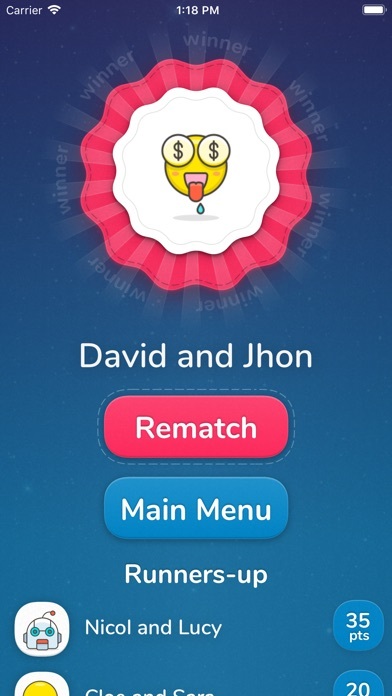 - Recreate teams from previous games to beat the last winner. - Increasing difficulty with each successful guess. 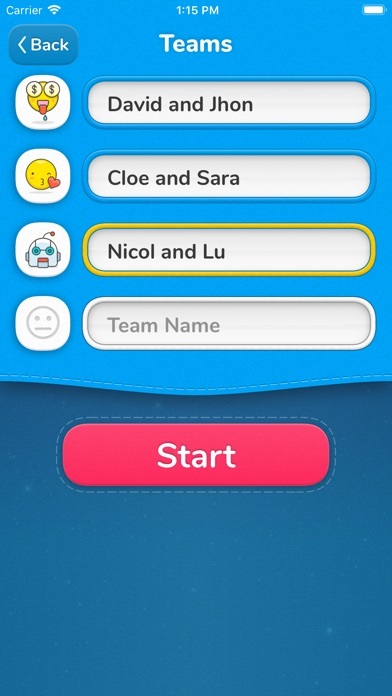 - Team scores visible at a glance with cute progress bars. - 6 supported languages: English, Spanish, Chinese (simplified), Japanese, Czech and Slovak.